India and New Zealand have been playing each other since 1955. The latter were one of the few teams against which the Indian team could hold their own, at a time when they generally struggled against the 'bigger' teams. Over the course of the past 60 odd years, the two teams have played plenty of games across the three formats of the game and naturally, some batsmen have performed particularly well against New Zealand. Some batsmen have a special liking for a particular bowling and throughout the course of their career, they always seem to get runs against them. Maybe, they might not score centuries all the time but they get a good start most of the time and that's what makes them so dangerous. Among Indian batsmen, there have been plenty of big scorers against New Zealand but here is a look at 5 who always got runs against the Kiwis. 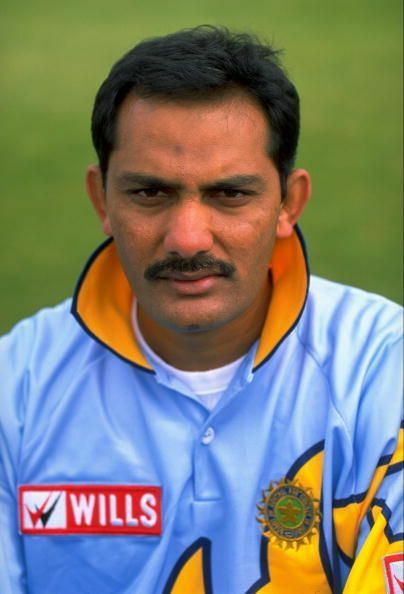 Former Indian captain and one of the nation's finest ever batsmen, Mohammad Azharuddin, scored heavily against New Zealand in a period of around 14 years, between 1985 and 1999. During the course of his distinguished career, Azhar scored 2 Test centuries, 1 ODI century and 10 half centuries across both formats against the Kiwis. In fact, his momentous 62 ball century against New Zealand at Baroda back in 1988 stood as the record for the fastest century in one-day internationals for eight years.